Our lobby and concessions area open one hour before curtain. 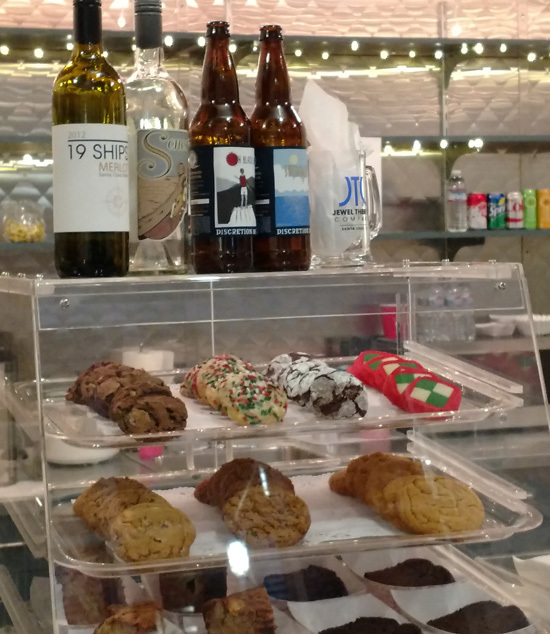 Jewel Theatre Company’s concessions bar features both delectable desserts and savory snacks as well as an array of drinks, all of which patrons are welcome to take into the theatre and enjoy at their seats. Gluten free items are also available. And don’t forget to buy a big, beautiful Jewel Theatre coffee mug, beer mug or tote bag.